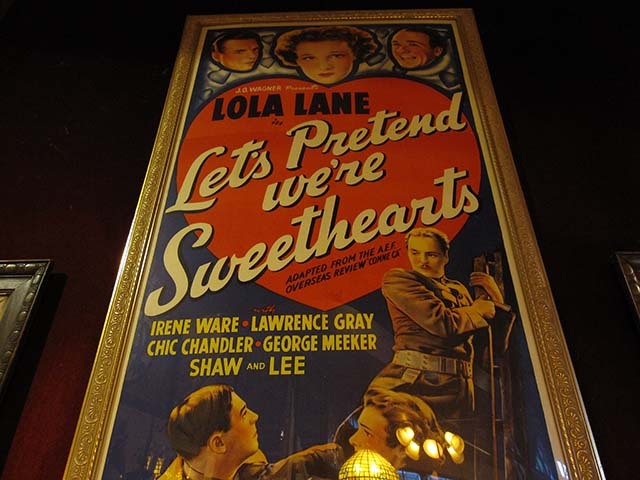 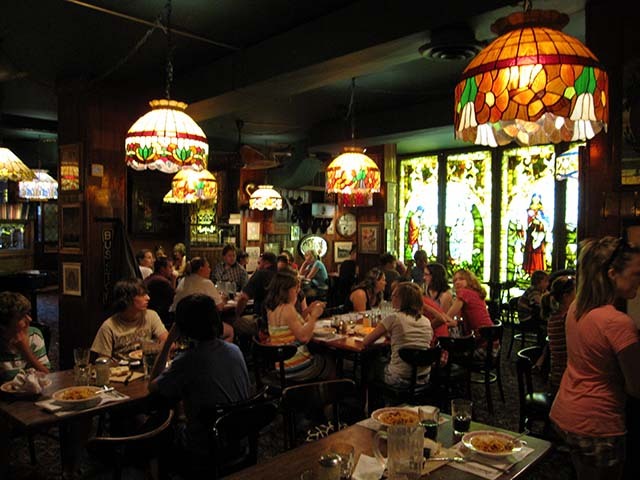 The Esplanade in downtown Toronto once housed two memorable and historic restaurants: The Organ Grinder and The Old Spaghetti Factory. 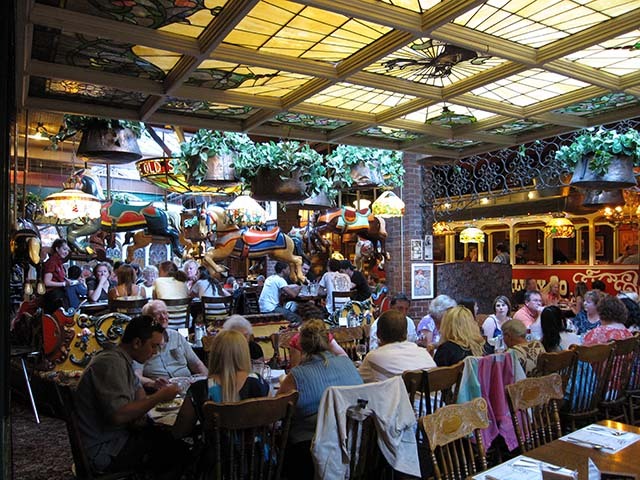 Sadly the Organ Grinder is long gone, but as a result of great food and excellent ambiance The Old Spaghetti Factory remains a favourite destination. 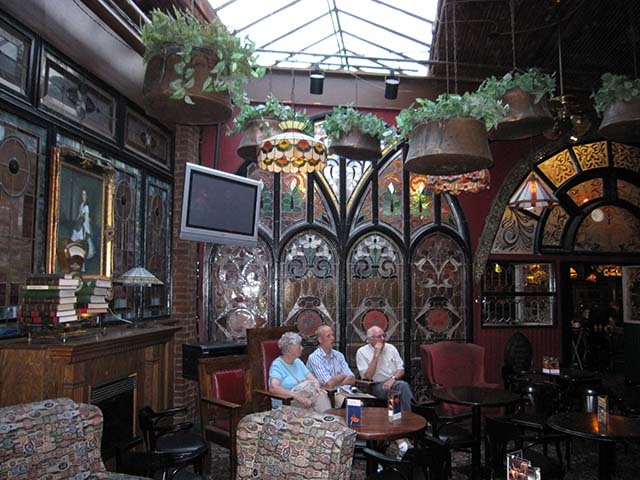 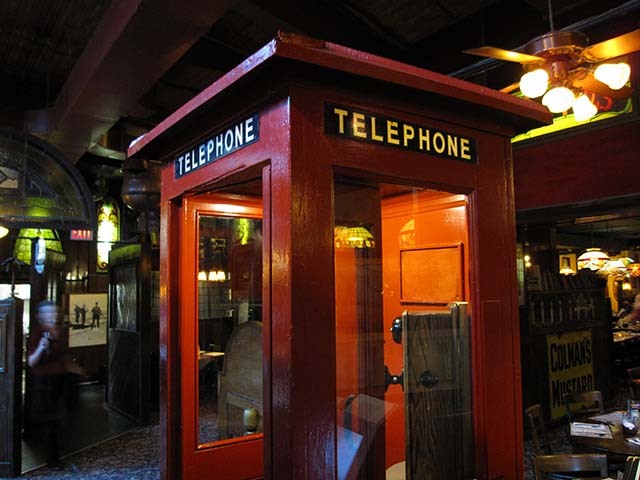 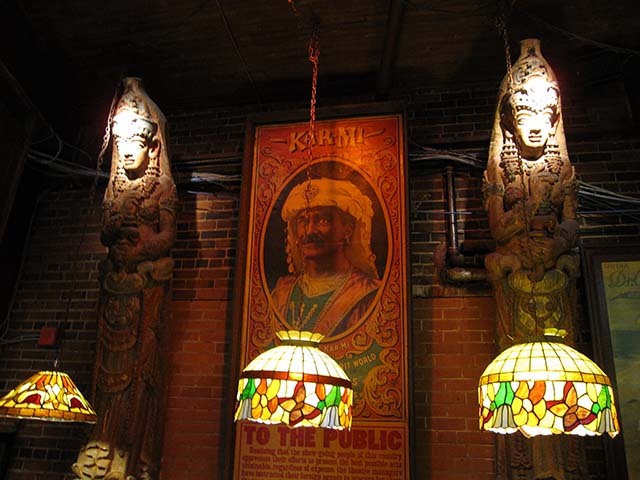 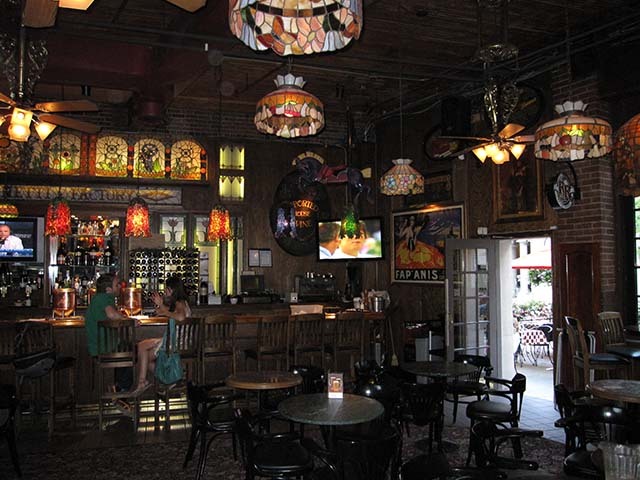 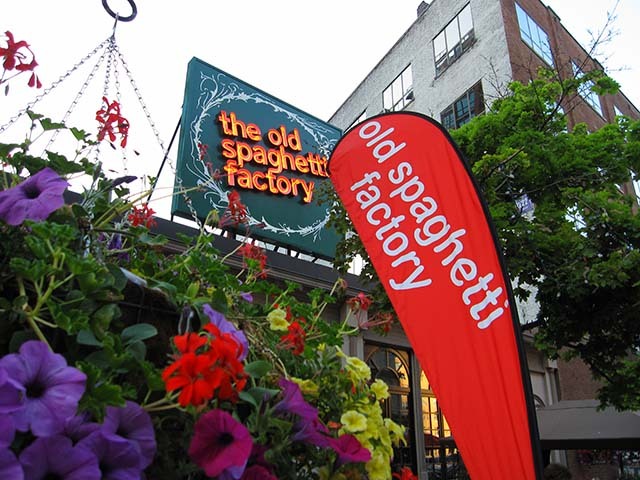 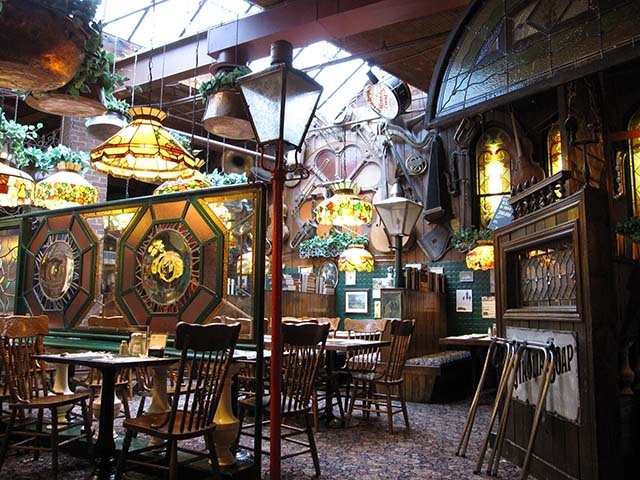 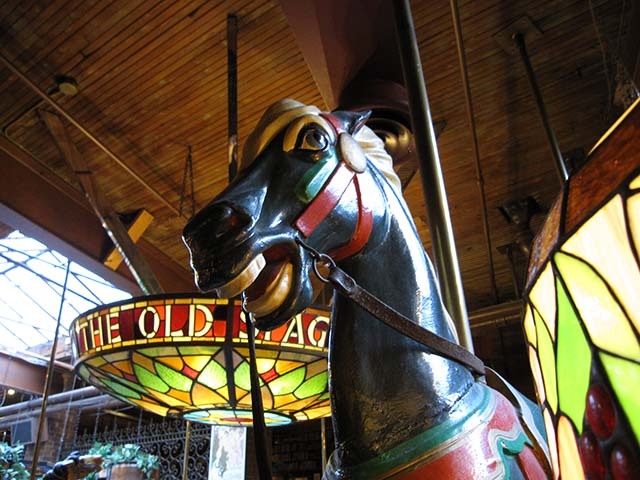 The Old Spaghetti Factory building has been around since 1898 and houses artifacts that make just walking around the restaurant a fun adventure in itself. 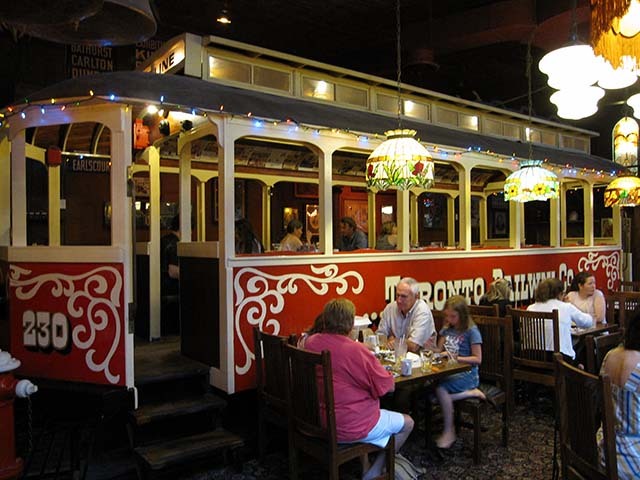 They even have a street car right inside! 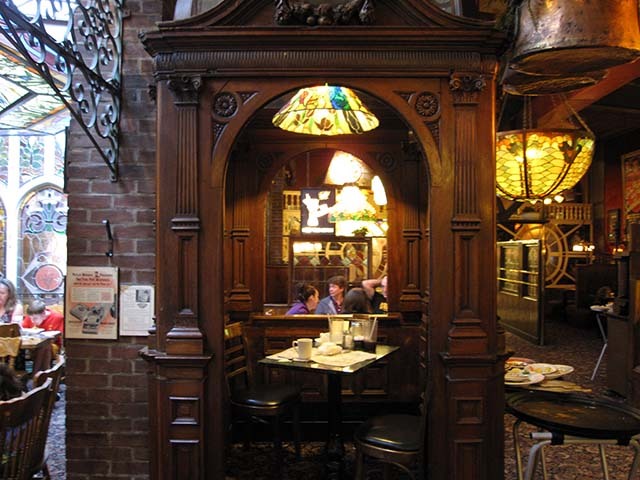 Each dining room is different, making each repeat visit a new experience. 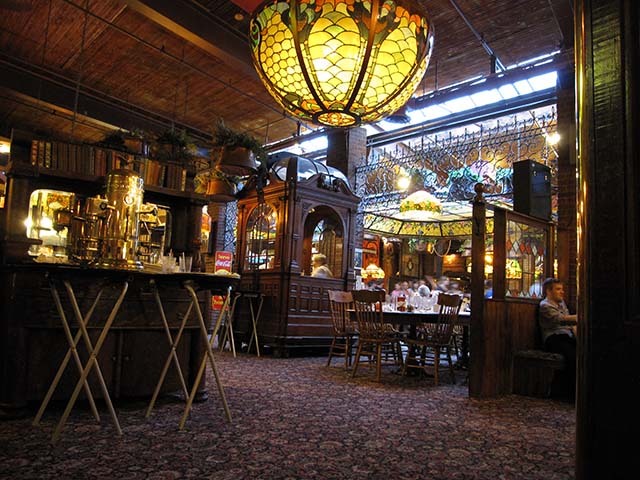 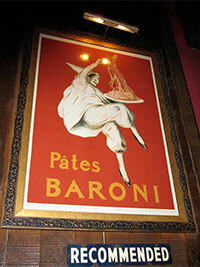 Usually beautiful restaurants come with high prices, but that is not the case with The Old Spaghetti Factory. 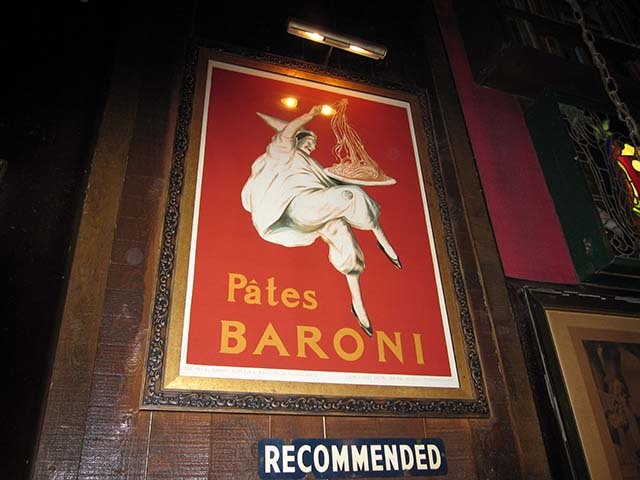 The food is tasty and the prices are very reasonable. 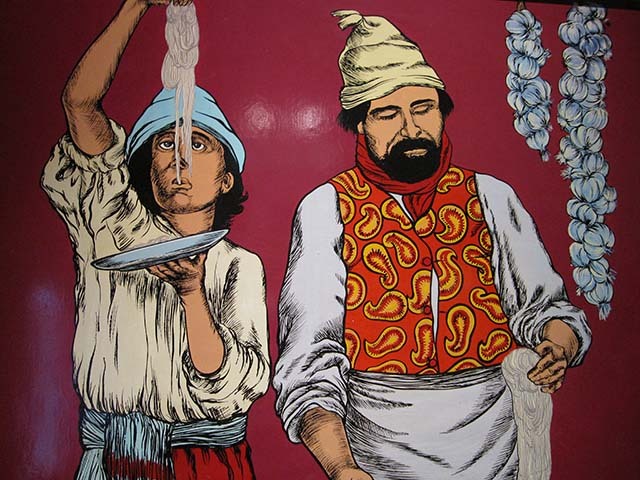 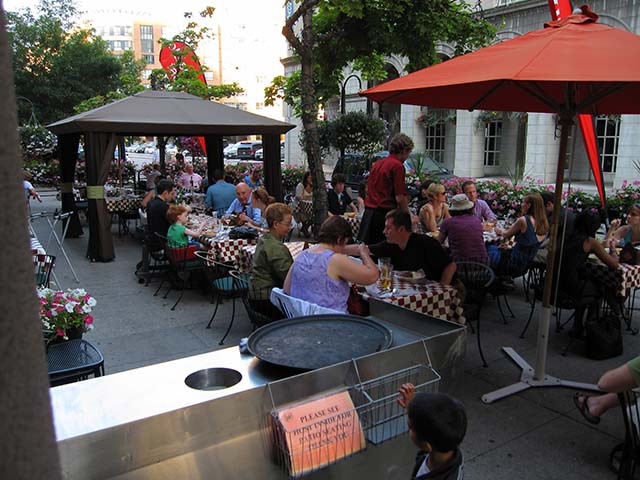 They do take reservations after 5:00pm by calling 416-864-9761. 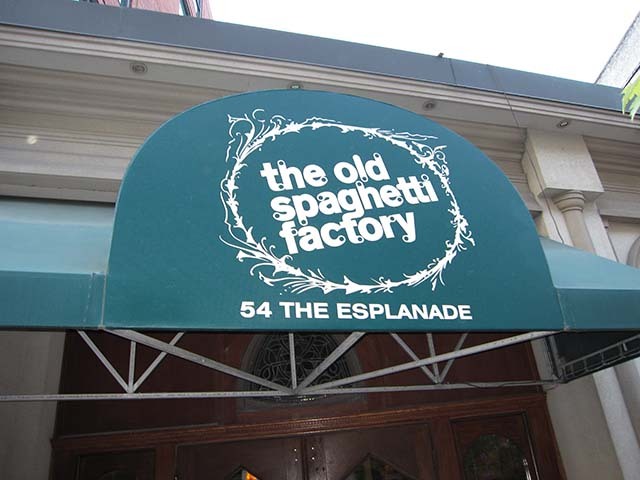 You can also view their [menu here] (http://www.oldspaghettifactory.net/pdf/OSFmenu.pdf "Old Spaghetti Factory Menu"). 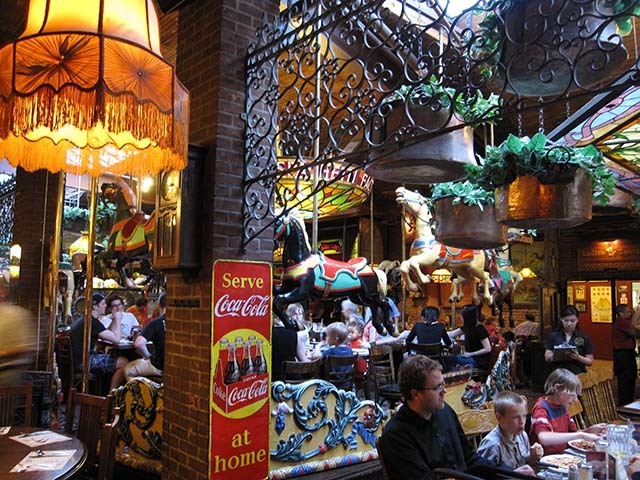 So if you are interested in having a fun dinner out, you are pretty much guaranteed a win if you visit the Old Spaghetti Factory. 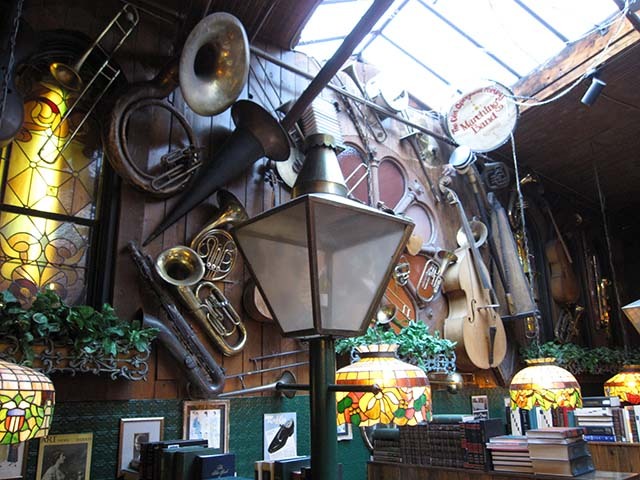 I think this place is great to go see. 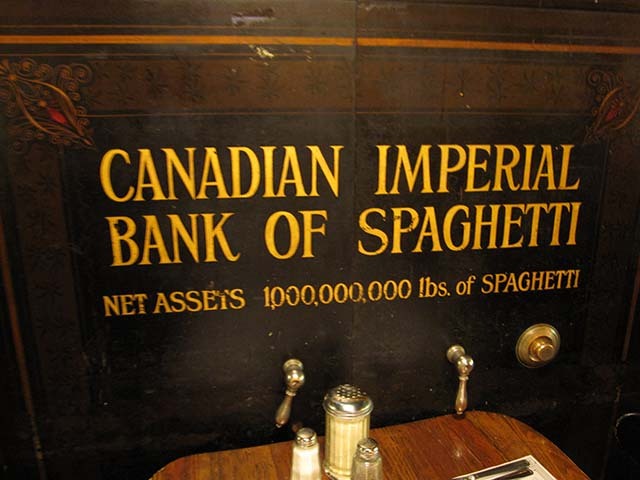 The food is a little overpriced.